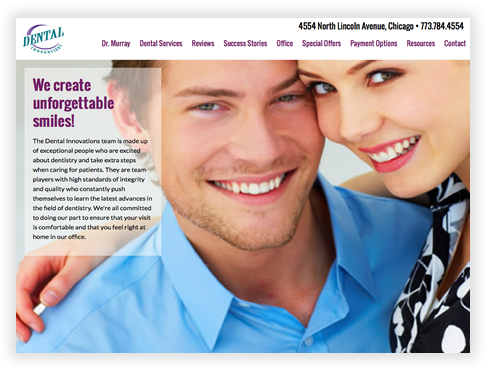 Swartwerk Media Design listens closely to each client to develop and create a custom website that meets their online marketing needs. 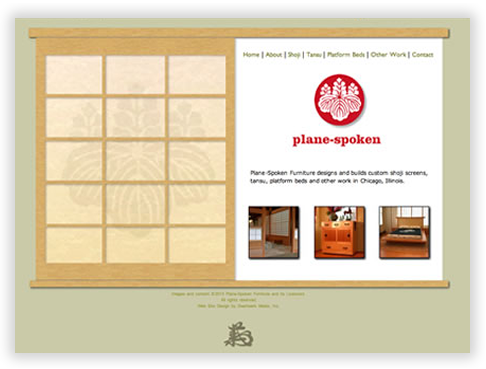 When building your website, Swartwerk Media Design uses hand-coded HTML and CSS layouts. 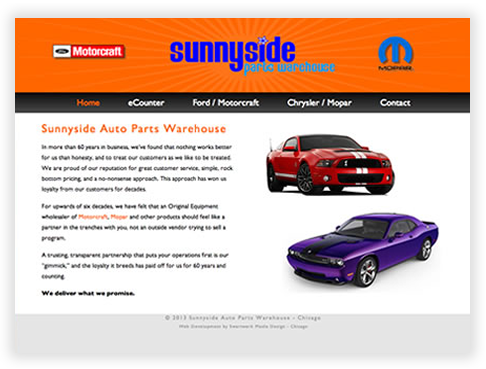 These load more quickly and are more backward and forward compatibile, allowing your website to display similarly in older, unsupported browsers and display well in future browsers with unknown specifications. 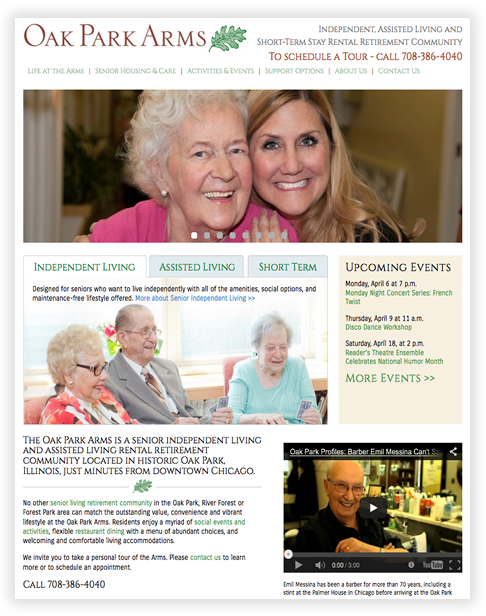 Swartwerk Media Design, Inc. designed, built and produced this retirement community website with a Chicago based public relations firm. 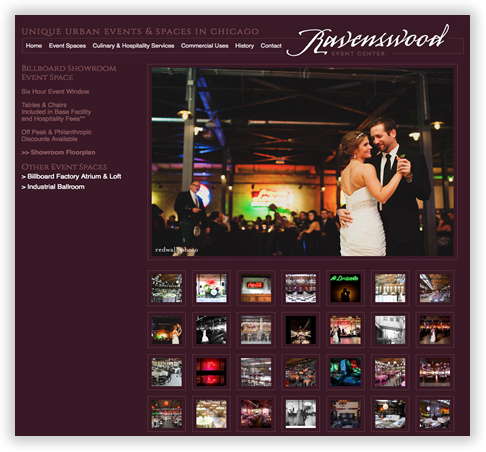 Ravenswood Event Center in Chicago chose Swartwerk Media Design, Inc. to re-design, increase traffic and conversions with enhanced SEO as well as build their webiste in a custom WordPress theme so they could manage the content in-house. 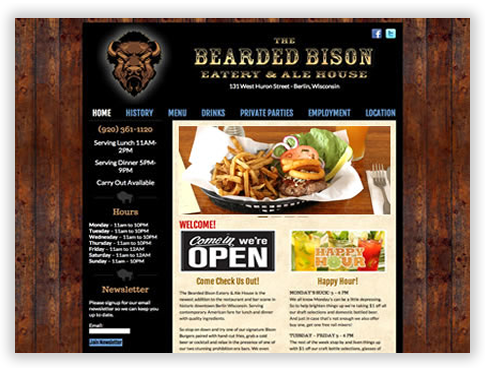 Swartwerk Media Design, Inc. designed, built and produced this rustic North woods style custom WordPress theme for the Bearded Bison. 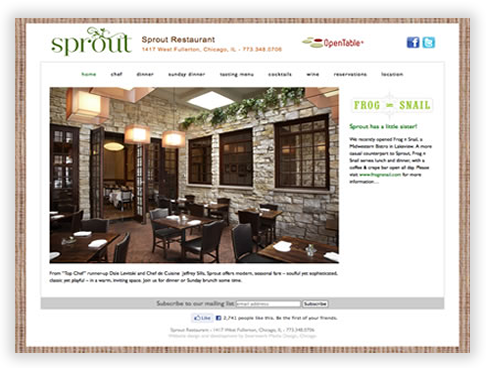 Swartwerk Media Design worked closely with Sprout Restaurant in Chicago to design, develop, and create a custom WordPress theme that meets the restaurant's online marketing needs. 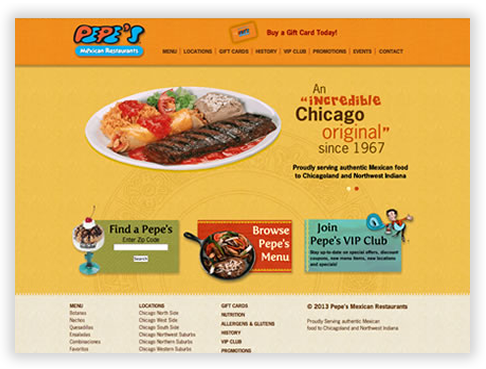 Swartwerk Media Design designed the Pepe's Mexican Restaurants website, its functionality, and built it to specifications with a custom content management system (CMS).